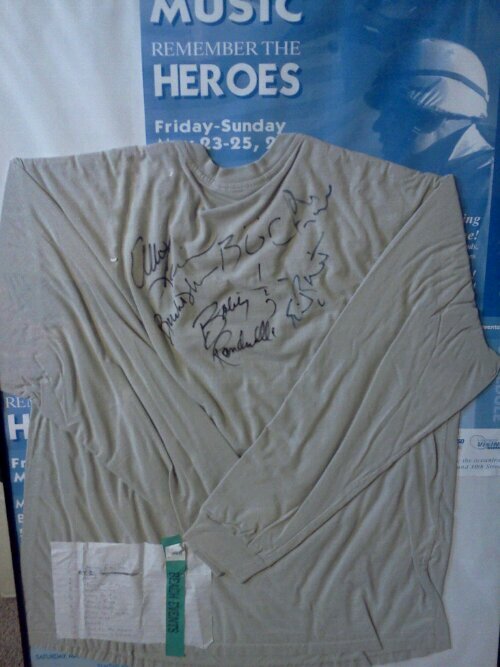 Blue Öyster Cult’s Occult Influence: An Overview | Robert Mitchell Jr.
My framed Blue Oyster Cult t-shirt autographed by (clockwise from upper left) Allen Lanier, Danny Miranda, Eric Bloom, Bobby Rondinelli, and Buck Dharma. My earliest three memories of being interested in the occult date back the 70s: buying a Tarot deck at the old B. Dalton book store at Eastgate Mall, finding a copy of Kathryn Paulsen’s Complete Book of Magic and Witchcraft (can’t remember where — a yard same maybe?) 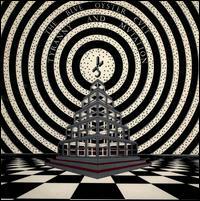 and listening to the music of the band Blue Öyster Cult. I still have the Tarot deck, and it’s pretty much the only one I’ve ever used. Although Paulsen’s book isn’t the very best, I am nostalgic about it. I lost that original copy and had to buy a used copy just so I could have it around. As for Blue Öyster Cult, they’re still my favorite band. I’ve seen them in concert so many times that I’ve lost count. I’m surprised how few occultists have an interest in BÖC. Then again, I suppose it makes sense if the only BÖC songs you know are Don’t Fear the Reaper, Burning for You, and Veterans of the Psychic Wars. You have to get past the hits to get a taste of the occult flavor. Take for example Mistress of the Salmon Salt which is, in my opinion, the creepiest example of the BÖC’s occult overtones (read the lyrics at the band’s website here). Many people, at first blush, think this song is about a prostitute who kills her sailor customers. But if you understand the word “reduction” in its various forms (namely chromosomal reduction and alchemical reduction) and note the final stanza, where it describes “the toes that crawl” and “knees that jerk” you’ll see that what the female protagonist is really up to. The lyrics and the eerie guitar work come together in a way that gives me chills. Occult rock doesn’t get any better or darker than this. You can keep your oxymoronic, overtly occult heavy metal. As far as I’m concerned, if you plaster your album covers with pentagrams (inverted or otherwise) and give your songs titles that contain references to occult books and occult ideas, that’s not occult. The word occult means hidden, not in-your-face. If I don’t have to dig a little, it’s not occult. If I wanted my food pre-chewed I’d eat baby food out of a jar. Most of the band’s occult influence came from Sandy Pearlman, Richard Meltzer, and Albert Bouchard. It saddens me that the band’s occult influence left with the departure of those guys. The material they produced with other collaborators (like Michael Moorcock, John Shirley, and Jim Carroll) is solid but lacks the occult depth of Pearlman and Meltzer. They say the band, back in the old days, during song writing sessions they used to keep around a stack of notes and papers written by Pearlman and Meltzer. Somebody should find those notes and tell the band to get back to basics, to return to what made them great. Did you enjoy reading this? Then my trilogy of supernatural novels will blow your mind. Here’s the cover to my new supernatural romance eBook bundle. Pretty, huh? The trilogy is on sale for just $5.99. Download it now at Barnes & Noble, iTunes, Smashwords (in any format! ), and wherever ebooks are sold! This entry was posted in Mysticism and tagged Blue Öyster Cult, heavy metal, occult. Bookmark the permalink.